Boost your preparation with MyProgressCard for JEE 2019 and beat the competition to get placed in top engineering colleges across India. MyProgressCard Mock Test Series for JEE 2019 has been designed by educational experts to deliver latest pattern and syllabus questions. 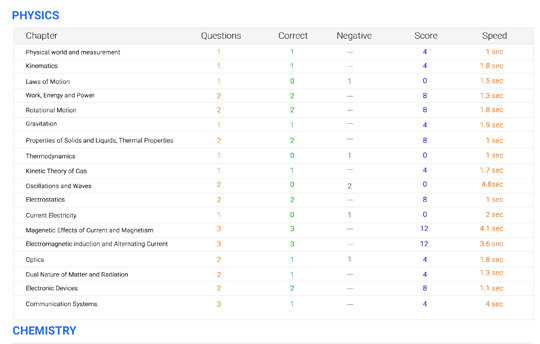 It provides detailed solutions, overall performance report, and subject-wise analysis which helps you improve accuracy and speed. 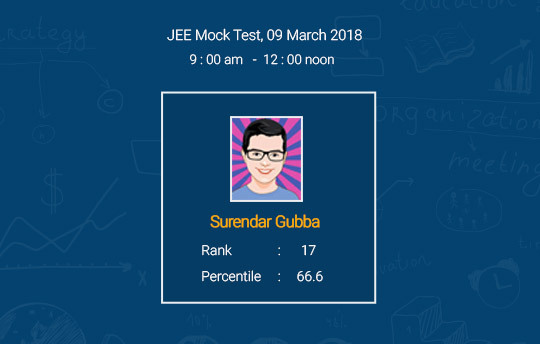 No matter where you are or what time it is, you can start taking the mock test of JEE Test Series, and know your exact performance status to plan preparation accordingly. Know where you stand in your JEE preparation by checking your overall performance on MyProgressCard Dashboard. 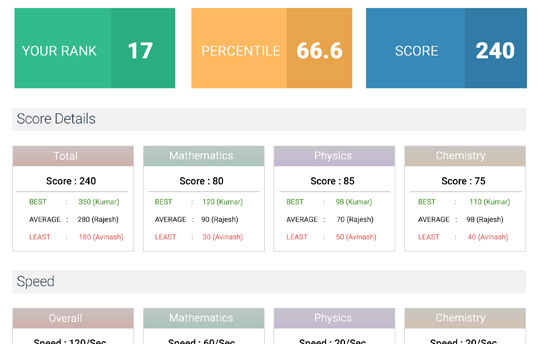 Track down your Score, Speed and Accuracy levels Subject-Wise, simultaneously get a chance to view Best, Average and Least scores. Take mock tests and evaluate your performance on regular basis, improve accordingly by concentrating on improving test by test. Be prepared before you attend the actual JEE 2019 Exam!